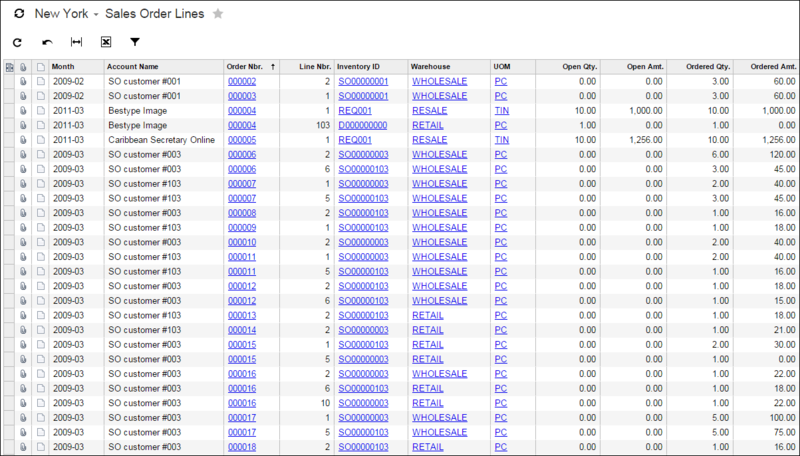 The Sales Order Lines Generic Inquiry report allows you to browse sales order line data on your terms. Maybe you want to look at all sales order lines for a particular part number or a specific customer. 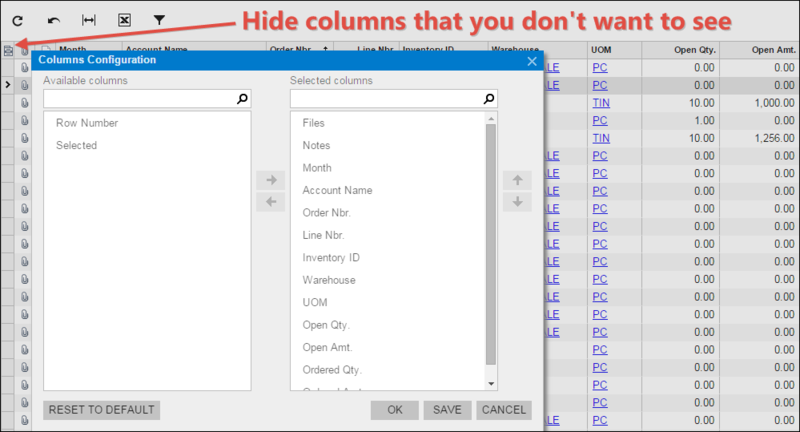 Maybe you want to change the order that the columns appear in or hide certain columns entirely. You can do all these things using the Sales Order Lines Generic Inquiry report. 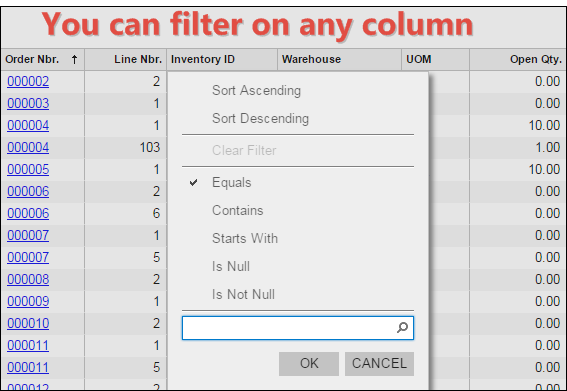 You can also export the data to Microsoft Excel and then refresh the data from Excel without having to return to Acumatica. In order to build the report, I started with the data in the Sales Order Details By Customer (SO611000) report and hand-picked the fields that I thought would be most useful. If there are other fields that you think would be useful, please contact me and let me know so I can add them. The Open Qty. and Ordered Qty. 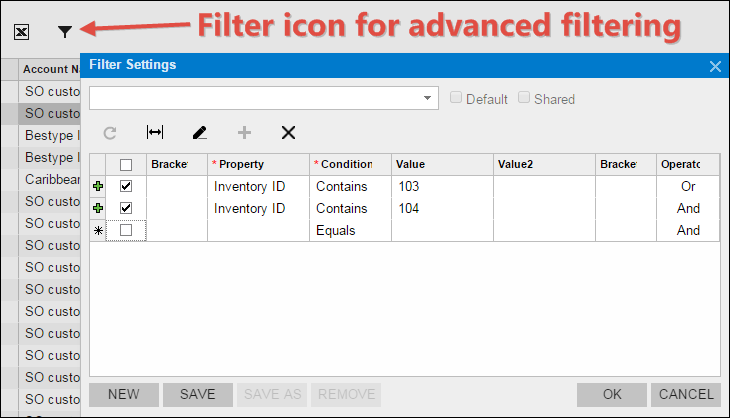 fields are shown according to the UOM that is displayed. The Open Amt. and Ordered Amt. fields are displayed in the Base Currency, not the Document Currency.